A representation of the street view. A rendering of the tunnel entrance. The second level enhances visibility. 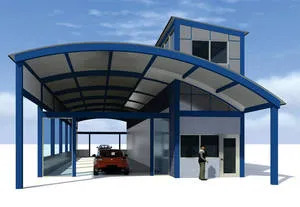 Even under the most favorable circumstances, getting the construction of a car wash permitted and finally approved can be an arduous endeavor. 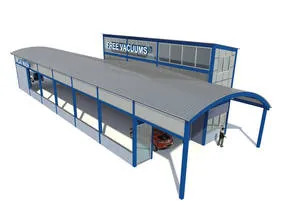 In his “Design” article in the April 2017 issue of Auto Laundry News, architect Christopher Crawford asserts that attempts to open a wash in south Florida “typically borders on the insane.” No strangers to operating in this neck of the woods, the developers of the second Jeff’s Express car wash — in Fort Lauderdale, FL — nevertheless forged ahead. 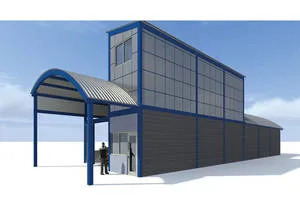 In addition to the usual city and county concerns that needed to be addressed, their plans were complicated by the wash site’s history: it previously housed a gas station that sprung a leak in 2007 and, as a result of the contamination, it was torn down. Extensive remediation was called for. All of which was time consuming. Things only started moving along at an acceptable pace after he “lawyered up” says Jeff Fazio, managing partner on the project. He now regards the services of a land-use attorney and a permit expediter as essential on any future project. The wash features a 100’ conveyorized tunnel, 20 free-vacuum spots, and three automated pay stations. Under construction now, the wash is expected to open before the end of the year, though even Mother Nature has conspired to disrupt the development’s schedule. A 100-year rainstorm that lasted five days caused major delays, and Tropical Storm Emily that crossed the Florida peninsula at the end of July did not help. The wash is located at 1075 West Sunrise Blvd. on the north side of the street, just minutes from downtown Fort Lauderdale. 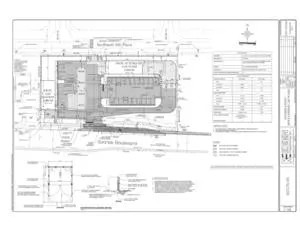 The plans also include a gas station/c-store, but these are under separate ownership. Daily traffic count along this major commercial thoroughfare is 60,000. While Sunrise Blvd. is a divided highway, there is a break in the median and a turn lane for eastbound traffic. 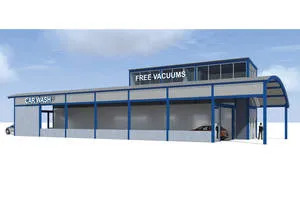 The site’s neighbors are heavily automotive including a couple of tire stores and a repair shop; household income within a one-mile radius is less than ideal. Fazio finds neither of these issues troubling. First, a three-mile radius encapsulates the high-income, high-rise condominiums of Fort Lauderdale as well as a major mall. Second, he believes that Sunrise Blvd. is ripe for redevelopment. In anticipation, the wash was designed to stand out, a second story added to enhance visibility. A happy consequence is space for an office on the second level.